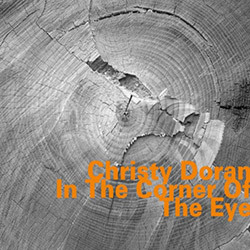 Irish guitarist Christy Doran in a quintet with NY Downtown stars Hank Roberts (cello) and Marty Ehrlich (reeds), UK legend Ray Anderson (trombone) and Swiss sax master Urs Leimgruber, in recordings from 1989-1991 showing incredible melodic, technical and creative skills. 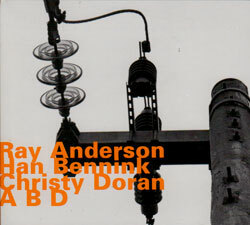 Combining two hatART CDs from '94 & '96, the trio of trombonist Anderson, drummer Bennink and guitarist Doran bring together contrasting approaches with intense skill and improvisatory wit. 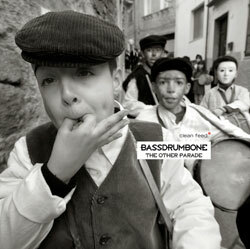 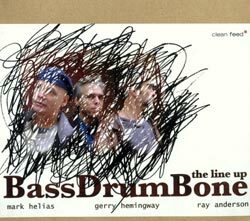 The remarkable trio of basist Mark Helias, drummer Gerry Hemingway and trombonist Ray Anderson in a release that brings modern language to traditional jazz, blues, and Louisiana rhythms. 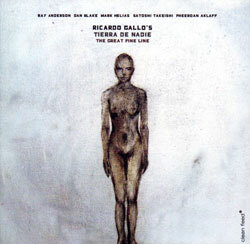 Tierra de Nadie is Colombian pianist Ricardo Gallo's project with bassist Mark Helias, trombonist Ray Anderson, saxophonist Dan Blake, and drummer Satoshi Takeishi and Pheeroan AkLaff.